Former FBI Director James Comey’s book tour is further damaging the perception of the office he used to hold. Compounded with Deputy Director Andrew McCabe’s dismissal, he’s dimmed our view of the FBI Leadership as a whole. 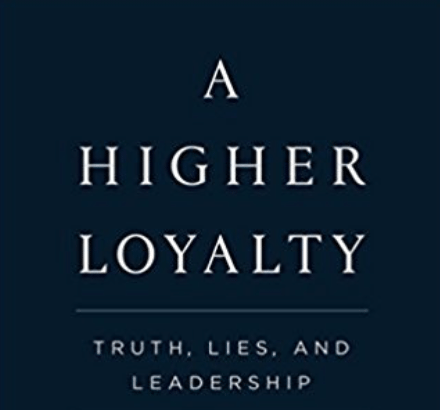 I saw Mr. Comey’s initial interview; I won’t be buying his book. Instead, I just want this to be over. The claim isn’t that Mr. Comey shouldn’t have the right to pen a memoir that includes opinions that the President is morally unfit for office and uses tanning goggles. Nor is it that Mr. Comey should not be able to profit from it. (Profit he will, with a first printing of 850,000 copies. Rather, it feels like trying to explain to a child that just because you can do something, it doesn’t mean that you should. Mr. Comey admits that he made errors in judgment while Director of the FBI. Maximizing earning power from those mistakes is beneath the office he held, particularly when what he did played such a large role in the electoral process. A more flippant headline for this piece might be: “James Comey Unites Left and Right in Disdain of James Comey.” It’d be true too: Lanny Davis wrote here that Mr. Comey is lying about what he told Congress. President Trump, with his usual calm opaqueness on Twitter, has taken to calling Mr. Comey a “slime ball.” When Messrs. Davis and Trump are somewhat of the same mind on an issue, Blue and Red America are, momentarily, One. An FBI Director, in the job or past it, should not behave as he is now. We would not expect a Supreme Court Justice to write a memoir dishing that one of her colleagues liked to floss his teeth in front of the rest of the group and was a great big dum-dum at anything except for Sudoku. We similarly have the right to demand better from someone who held the august position of FBI Director. At least, we used to. Mr. Comey could have given his extensive interview to George Stephanopoulos last year, after his testimony on Capitol Hill and interview with Special Counsel Robert Mueller. He could have written a book that stuck to the facts of the cases before him. He didn’t. The good news is, it doesn’t have to end this way. The position of FBI Director is an important one, but it is not comparably important to that of President. Presidents following Richard Nixon were able to re-build the stature of that office in the wake of Watergate. Christopher Wray, the current FBI Director, can set about the task of rebuilding America’s faith in the leadership of its most important law enforcement institution. Mr. Wray doesn’t have it easy. But one isn’t offered nor does one take on the job of FBI Director because it’s supposed to be easy. Confirmed 92-5 in the Senate in the wake of Mr. Comey’s firing, America’s lawmakers think Mr. Wray should lead the FBI. Mr. Comey made it harder this week, but Mr. Wray still looks like he’s up to the job.